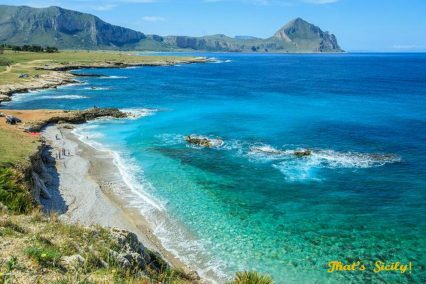 Sicily offers more than a dozen offshore islands, in 3 different archipelagos, and nearly 1500km of coastline on the Ionian, Tyrrhenian and Mediterranean seas with more than 100 beaches. 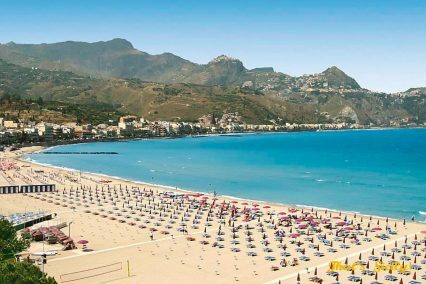 Sicily has beaches, snorkelling and dive sites for every taste. 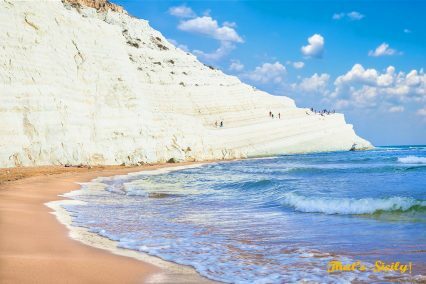 From white cliffs to black beaches, golden sand dunes to caves, round pebble beaches to majestic mountains that drop straight into the sea. 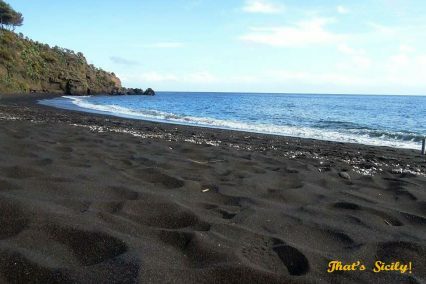 From fine powdery white sand beaches and smooth marble slate-like “beaches” to dramatic black lava formations. 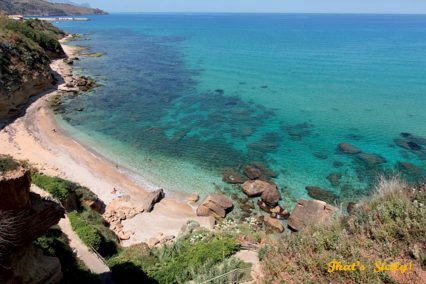 From packed party beaches to the completely deserted ones….Sicily has it all. 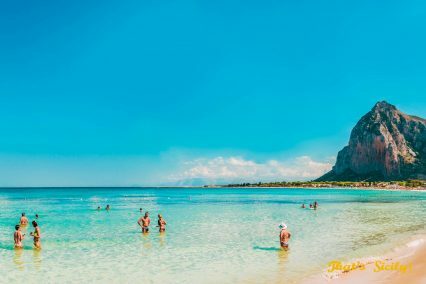 With it’s 3 different seas, variating depths and currents, you will get quite a difference in water temperature, but generally, Sicily’s waters remain clean and warm throughout the summer and autumn months. 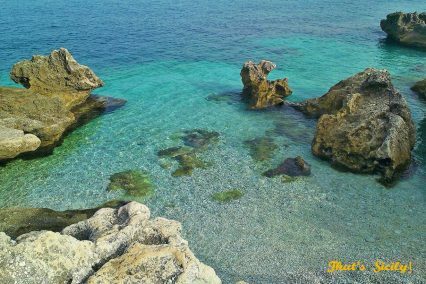 While you see keen swimmers from early April to December, you will find the best swimming conditions from June to early October. 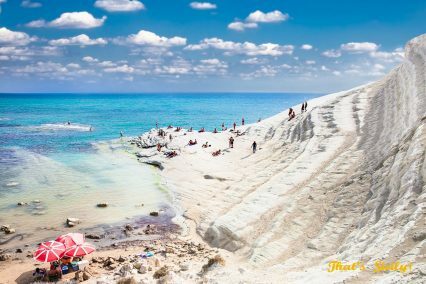 Sicily comprises a number of stunning satellite islands and 3 absolutely magic archipelagoes, each with their own individual charm and appearance. 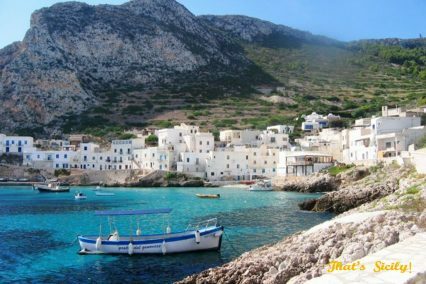 The below info has been borrowed directly from the site isole-sicilia which also has an in-depth information about each island. 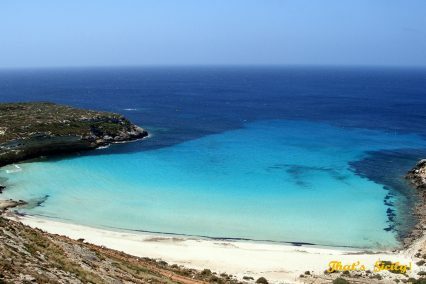 The Stagnone Lagoon covers an area of 2,000 hectars between Punta San Teodoro and Capo Lilibeo. 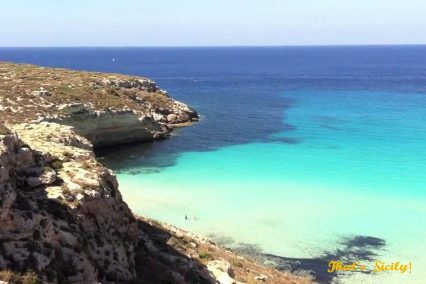 It consists of a small archipelago composed of four islands, namely Longa, Scuola, Mozia (or San Pantaleo) and Santa Maria. 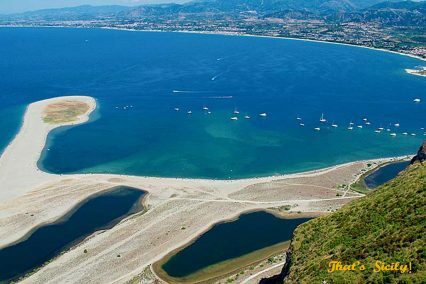 In 1984, in order to preserve its precious ecosystem, the lagoon was designated as a Natural Reserve. 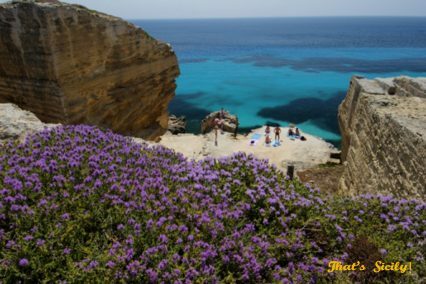 Mozia, set off Marsala’ s Stagnone Bay, was inhabited by the ancient Phoenicians. 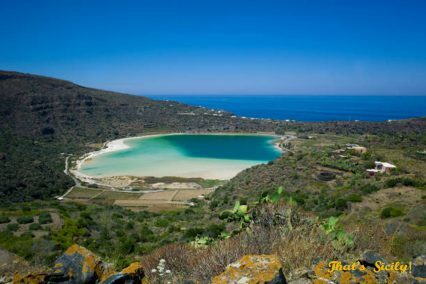 With its characteristic salt-pans and wind mills, the island is a major goal of tourists. 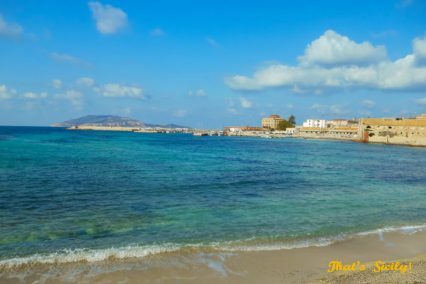 Besides its naturalistic riches, the island is an equally renowned archaeological site, with the Tofet, a place where Phoenicians buried children, and the archaeological museum. 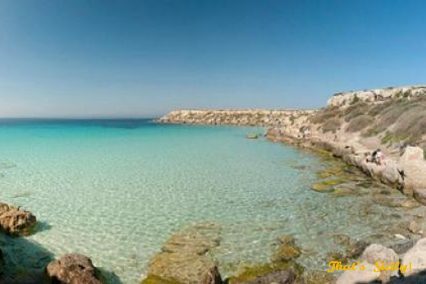 Pantelleria, in the Trapani district, is among Sicilian major tourist destinations. 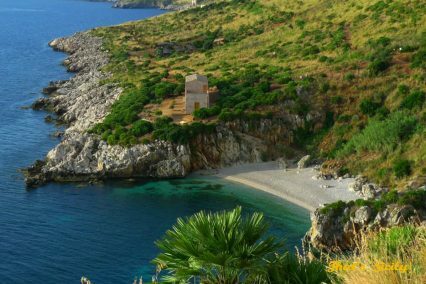 It is well-famous for its dammusi, naturalistic riches and sites, like the Montagna Grande (Grand Mountain), pine woods, the Gibele volcano, the favare and several archaeologic sites, like the Monastero catacombs and the abandoned village of Mueggen. 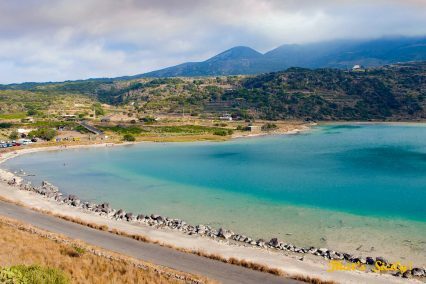 It is a volcanic island rather closer to the African coast (37 km from Tunis) than Sicily’s (47km). The last eruption dates as far back as 9,000 years while sysmic’s dates back to the late-1800s. 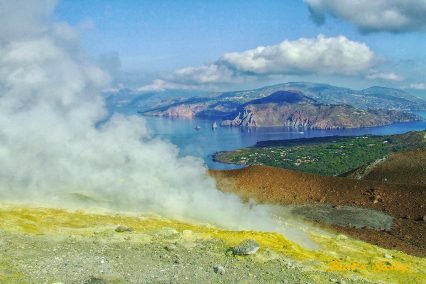 The sole active volcanic activity is due to the so-called Stufe or Bagni Asciutti hot springs and the favare, mini-geysers that puff boiling hot steams. 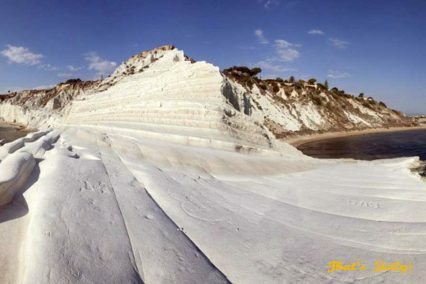 The main one, known as the Favara Grande, stands down the slopes of the Grand Mountain. The dammuso, from Arabic for ‘vaulted structure’, is a typical 10th century building with arch openings, stone walls and a dome-shaped roof serving to collect rain. The walls’ considerable thickness insulates the rooms, keeping them cool in the hot summer. 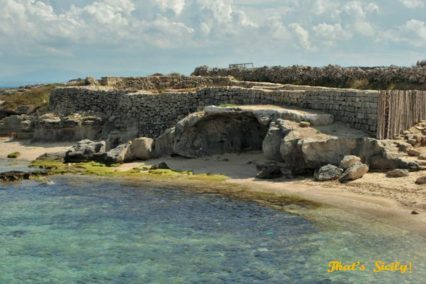 Pantelleria boasts remotest origins: relics of lava stone artefacts from the Phoenecian Age are scattered across the Island; among these are the noted Sesi – tombs where the important members of the community were buried, made from lava stone blocks – and the ruins of a pre-historic village. 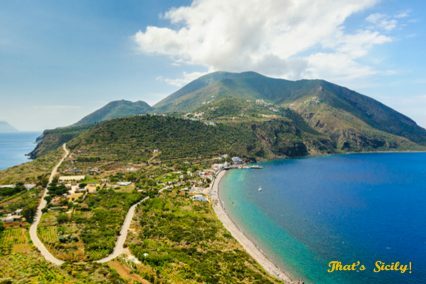 Visitors may take splendid excursions on horseback along the island naturalistic spots and boating tours of the many bays and bathing spots. The Ballata dei Turchi, the Tracino, the Formaggio are just a few names. 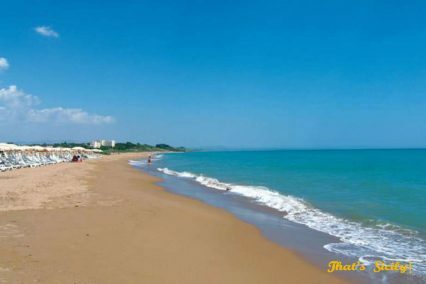 The island is especially beautiful in the spring and autumn when the climate and a slower flow of tourists afford a more relaxing vacation, away from mass tourism. 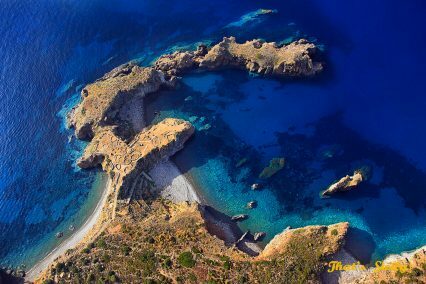 Ustica, belonging to the Palermo province, has such attractive and renowned natural bays as the Cala Santa Maria, the Bastione Monte Guardia dei Turchi, the Cala del Camposanto, the Punta dell’Omo morto. 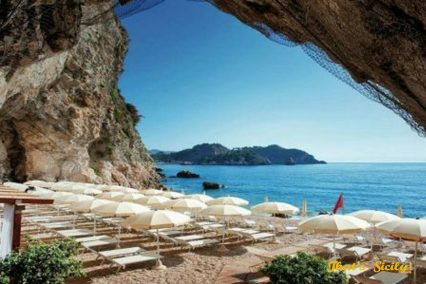 As much impressive spots are provided by the natural caves of the Grotta Azzurra and the Pastizza. 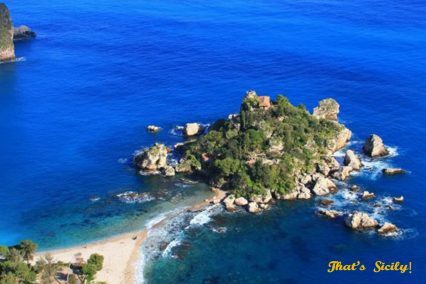 The only village on the island, mainly living on fishing and tourism, and the fine Bourbon tower are other major features of this enchanting place. 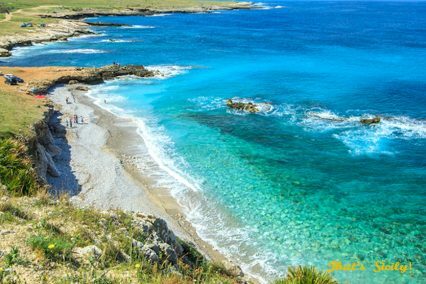 Ustica is an oasis of peace and tranquillity, unspoilt by mass tourism, hence affording an extremely relaxing holiday amidst historical and naturalistic attractions. Diving is most recommended. 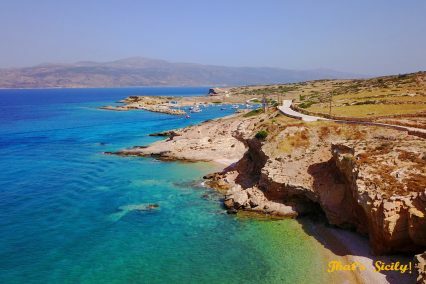 The island boasts an important history; it was inhabited by the Phoenicians and the Romans, the latter calling it Ustum, meaning “burnt”. 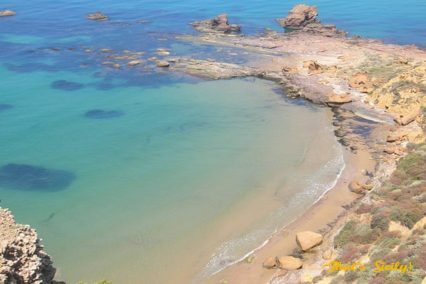 Since 1986, it has been a marine protected reserve. 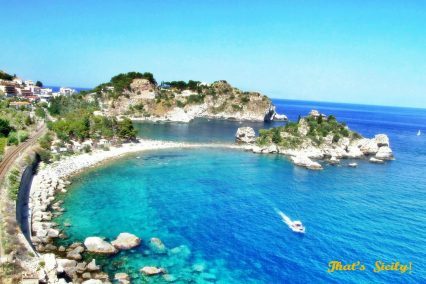 The Aeolian Islands, within the Messina province, are situated off Milazzo coast. 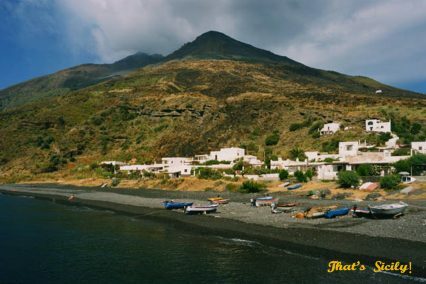 These seven volcanic islands are a favorite destination for tourists from across the world. 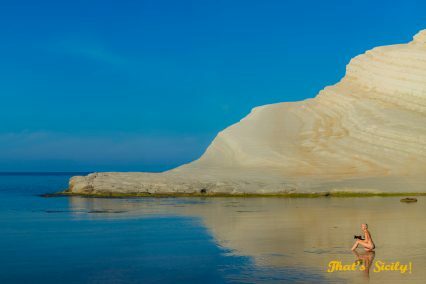 Their uncontaminated landscape marked by striking colour contrasts is host to a wide range of wildlife including several kinds of migratory birds and rare sea-gulls. 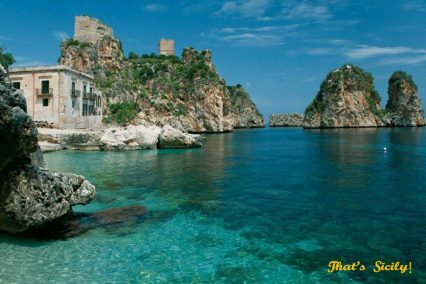 As other Sicilian archipelagoes, the Aeolian is one of remotest roots, the earliest settlements here going as back away as 4,000 years. 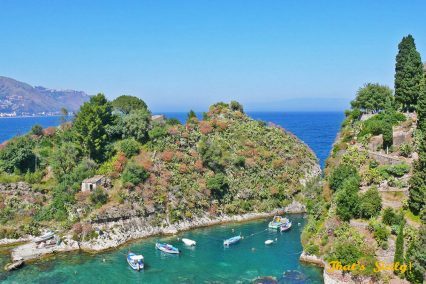 It seems that the main Lipari has accommodated some Greek colonies. 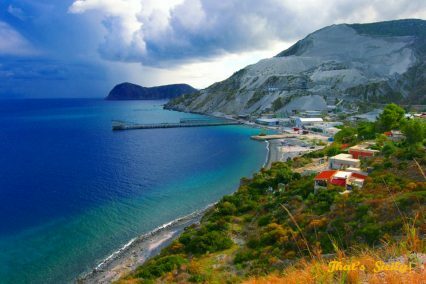 There is a fine and well-known museum tracing, through a rich display of artefacts, the islands’ history starting from the very Paleolithic age when the islands are reckoned to have emerged from the sea. 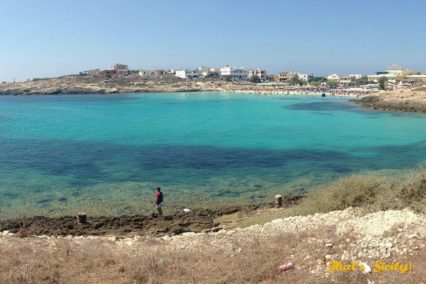 Today, tourism constitutes the islands’ main income. 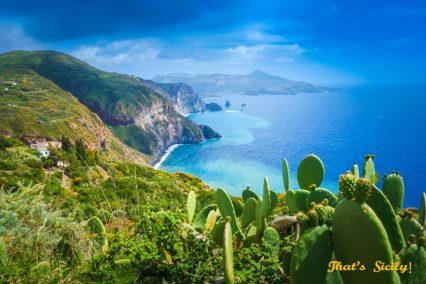 The cone-shaped Alicudi, the farthest island – along with Filicudi – from Milazzo coast, has characteristic lava stone houses and a richest flora mostly composed of prickly pear, caper and broom. 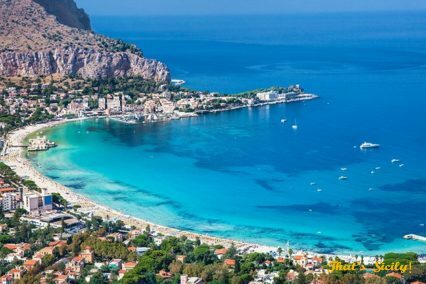 It is endowed with some beautiful beaches, crystal-like waters and very interesting architectural sites, such as the churches of the Carmine and St. Bartholomew, the Montagna, being a settlement dating back to the 18th century, and the village of Castello, set on a hill sloping down to the sea. 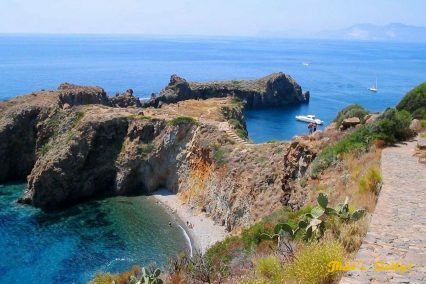 The neighboring Filicudi is also very attractive. 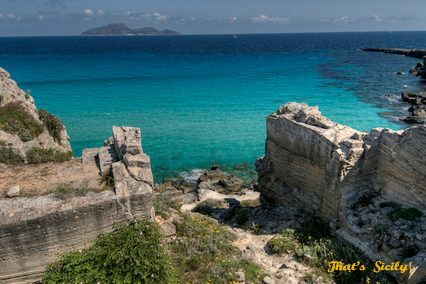 Remnants on the island provide evidence for human presence there since Antiquity: the ruins of a pre-historic village dating back to the Bronze Age and the sites of Rocca Ciauli, the Montagnola, Capo Graziano, Monte Guardia. 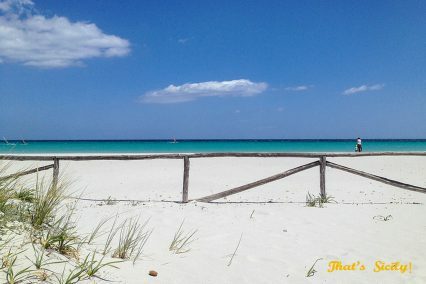 Two villages have grown on the island, namely Valdichiesa and Zucco Grande. 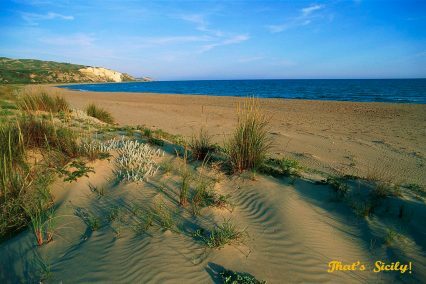 The wild nature, along with the sea and the beautiful shore, have made the island a favorite destination of summer tourists. Not to miss is the boating tour of the island, enabling visitors to enjoy every natural side of this magic place. 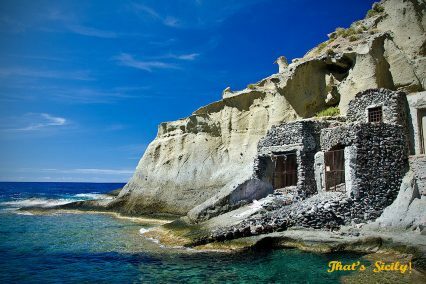 Stromboli, especially renowned for its active volcano, is a popular tourism destination. It is particularly impressive at sunset when its landscape puts on incredibly beautiful colours. 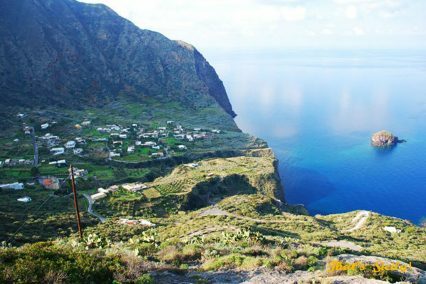 Salina, with its richest flora and its distinctive two-humped profile – consisting of its two peaks Monte dei Porri and Fossa delle Felci, is the second largest of the Aeolian Islands. 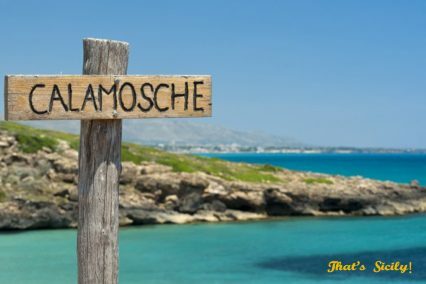 It derives its name from an old salt mine there located. 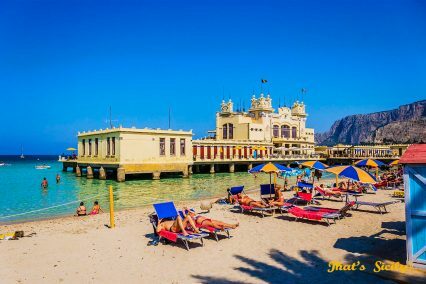 Today, Salina is a well-famous tourism – notably summer – resort combining historical – the Santuario della Madonna del Terzito and the Santa Marina district with several caves of Saracen origin – naturalistic – the Pollara Bay, the Lupo Valley – and bathing spots. 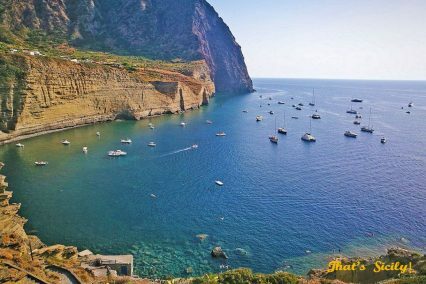 Vulcano is the southernmost of the Aeolian islands and the closest to the Sicilian mainland. It results from the fusion of four volcanoes. 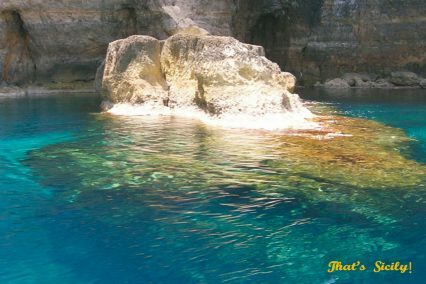 The main crater, the Cavallo and the Gelso caves, being nicest bathing spots are most attractive. 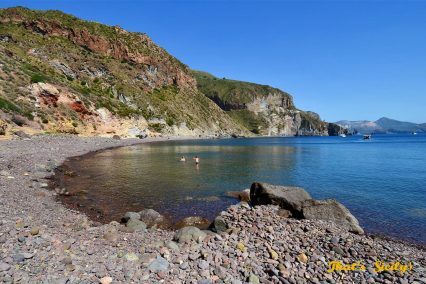 Lipari is the largest and by far the most popular of the Aeolian islands; the visitors can enjoy numerous attractions, finest sand beaches and the charming town’s old centre. 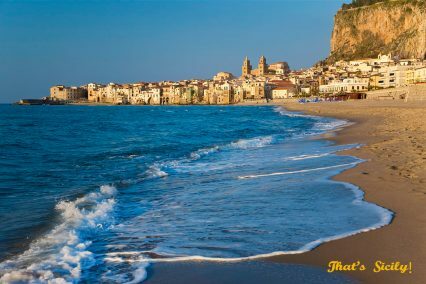 The Castle overlooking the sea and housing the Archaeological Museum, the Norman Cathedral, the Greek amphitheatre and a number of villages, such as Canneto, with its nice sand beach, and Acquacalda are worth a visit. 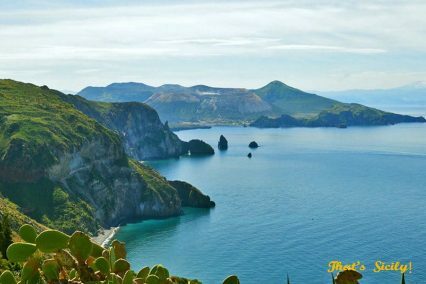 Like other islands in the archipelago, Lipari is one of archaeological interest, with relics ranging in date from the 17th to the 2nd century BC. Outstanding are the most ancient San Calogero Thermes – going as back away as the 17th century BC –, a necropolis with tombs dating from the 5th century BC and the ruins of two sanctuaries dedicated to Demetra and Kore, dating back to around 470 BC. 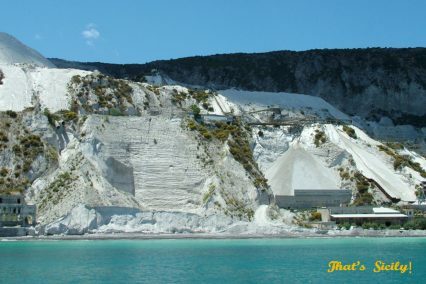 Also worth-seeing are the Monastero di San Bartolomeo restored at the behest of Norman Count Roger, the Rocche Rosse crater, the pumice quarry and the old kaolin mines. 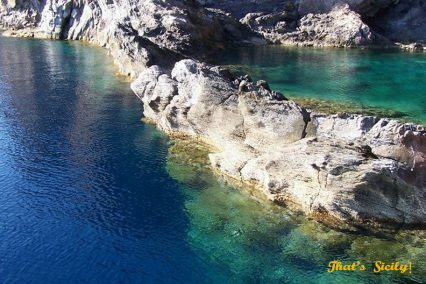 The island of Panarea is especially appreciated by Italian and International VIPs. 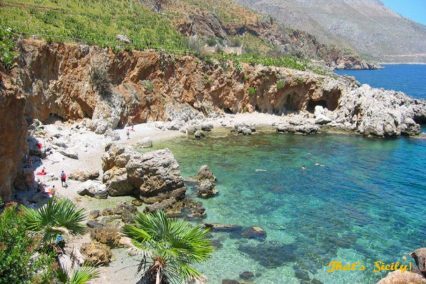 Outstanding are the Cala Junco green bay and the ruins of a prehistoric village dating back to the Bronze Age. 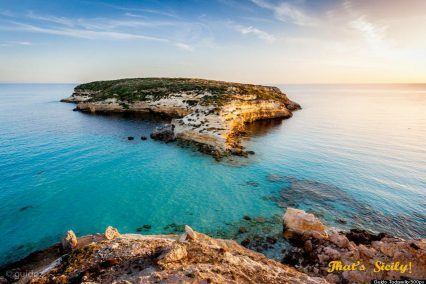 This beautiful archipelago is made up of the renowned Lampedusa, Lampione and Linosa islands; and belongs to the Agrigento province. 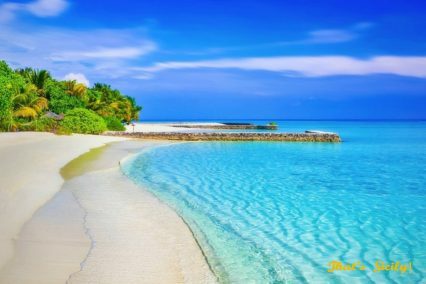 The Islands are at a considerable distance from the mainland, what has helped preserving their primeval environment. 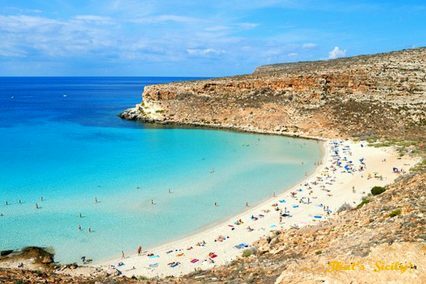 Lampedusa, by far the most famous island in the Archipelago, is home to archaeologic remnants from Phoenician, Greek, Roman and Arab ages. 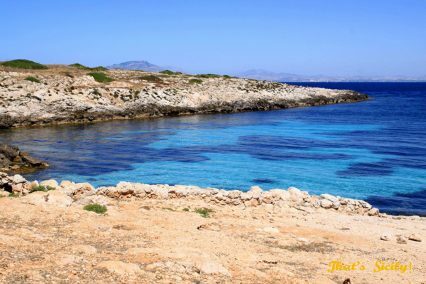 It is endowed with beautiful naturalistic sites; worth-mentioning are the Cala Spugne, the Cala Maluk and the Rabbit island. The island has a richest vegetation and wildlife and unique landscapes. 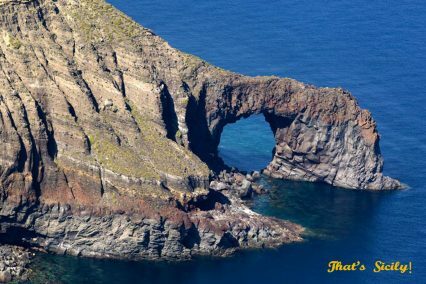 Its geological features are very much alike the Northern coast of Africa. 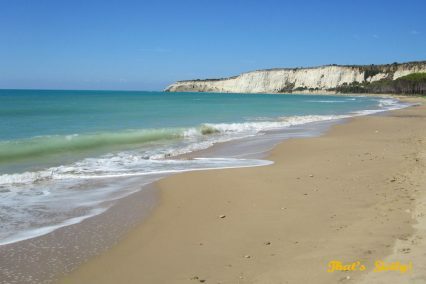 Boating tours of the coast and its finest sand beaches are highly recommended. 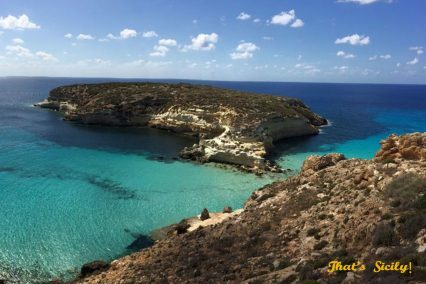 The Santuario della Madonna di Lampedusa or Porto Salvo, a church whose origin goes back to the Age of the Crusades, is worth-seeing. 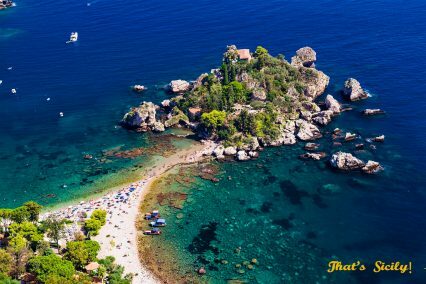 Linosa, known as the “black pearl of Sicily” due to its volcanic origin, has uncontaminated environments and sea-beds with plenty of grottoes, caves and wildlife. The island is a paradise for snokelers and divers. Its vegetation is magnificent. 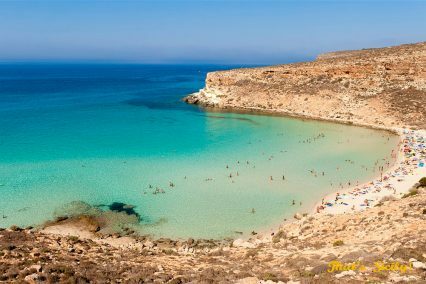 The island origins go back to the Roman and Arabian dominations. 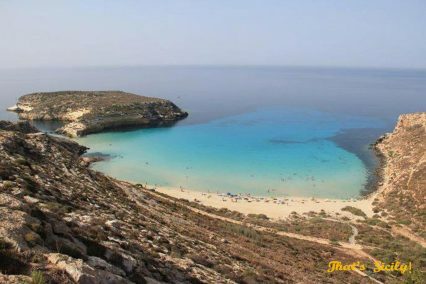 Lampione, also known as Scola dei Portolani, is a smallest desert island closest to Lampedusa. 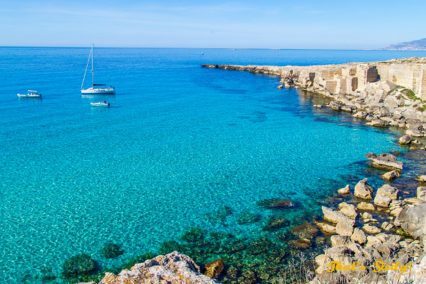 The Egadi Archipelago lies a few miles off Trapani shore and comprises the three main islands of Favignana, Levanzo and Marettimo, plus a a number of tiny islands among which stand Asinelli and Formica, home to remains of a tuna-fishery and a lighthouse. 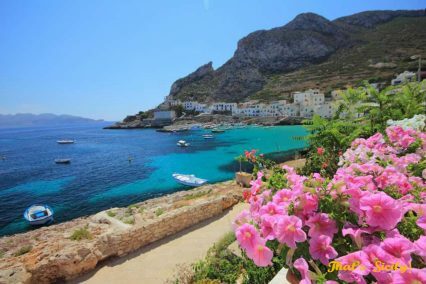 On Marettimo, there are remains of ancient Roman settlements, namely the grand Grotta del Cammello (Camel Grotto) and the rocky peak of Punta Troia, where lie the ruins of an ancient Aragonese castle. 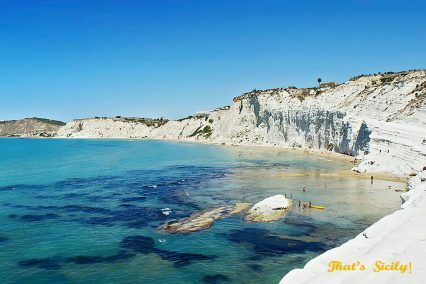 The island is endowed with splendid naturalistic riches, uncontaminated sea-beds, like that by the Cala Bianca, the Bombarda grottoes and several interesting hilly areas like Pizzo Falcone and Pizzo Capraro. 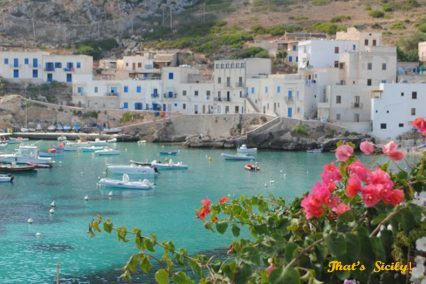 Favignana is the major and the most frequented island of the Archipelago. 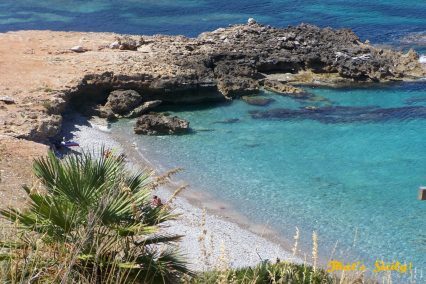 It has a hilly profile, a rich vegetation, mainly Mediterranean, amazing coastal strips like Cala Rossa, and spots as the Bue Marino grotto, Punta Fanfalo, Cala Grande and others.